Looking to install an entire library of art in your home sans the large wall space? 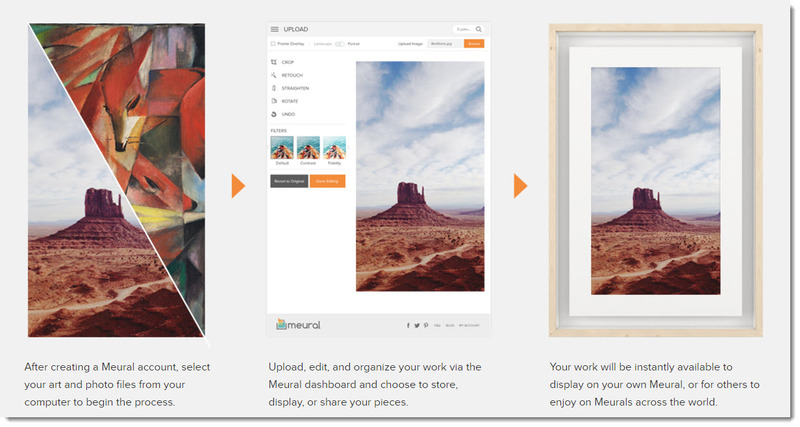 Meural is a digital frame and screen that lets you showcase unlimited amounts of art on a single canvas. Have you ever wanted to curate a home art collection that changes to your tastes of the week, day, or even hour? In the past, having an extensive art collection required lots of wall space, excessive cash, and more than a bit of effort to hang everything. 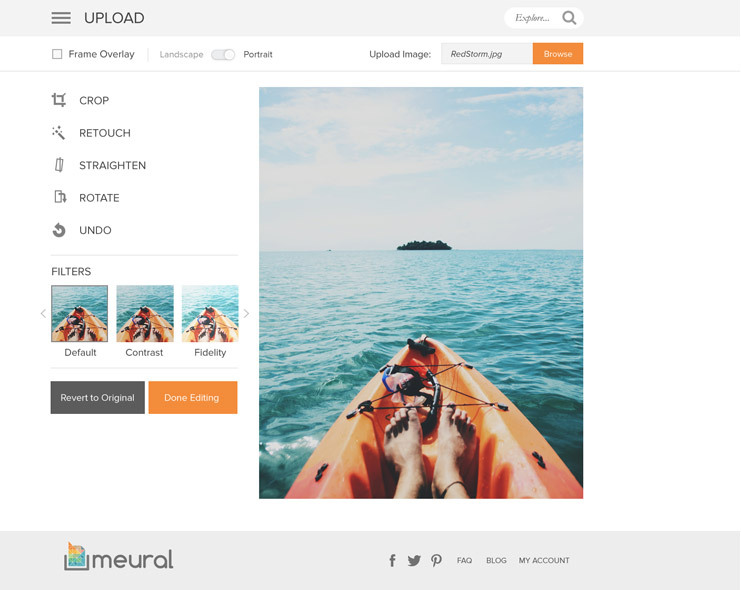 Things are getting a little easier with Meural, a connected canvas that enables users to stream art from the sources they choose and display whatever piece they want whenever they want. Unlike traditional LCD picture frames, Meural is engineered to mimic the look and feel of traditional artwork. Behind the visuals is advanced video technology that rivals even the best flat screen televisions. The Meural interface is an IPS (in-plane switching) display that renders over 16 million colors. Instead of a traditional glossy finish, Meural has a low reflective matte finish that allows for a detailed, almost-authentic view of brush strokes and image details. In addition to the anti-reflectivity coating on Meural, there’s also adaptive lighting to ensure the artwork maintains a natural look regardless of in-room lighting. Once setup, users are able to switch through their collection simply with the wave of a wrist, flipping between works by artists, animators and photographers on a single canvas. Owners can manage all aspects of their Meural – control, creation and discover – on a mobile application or web portal. 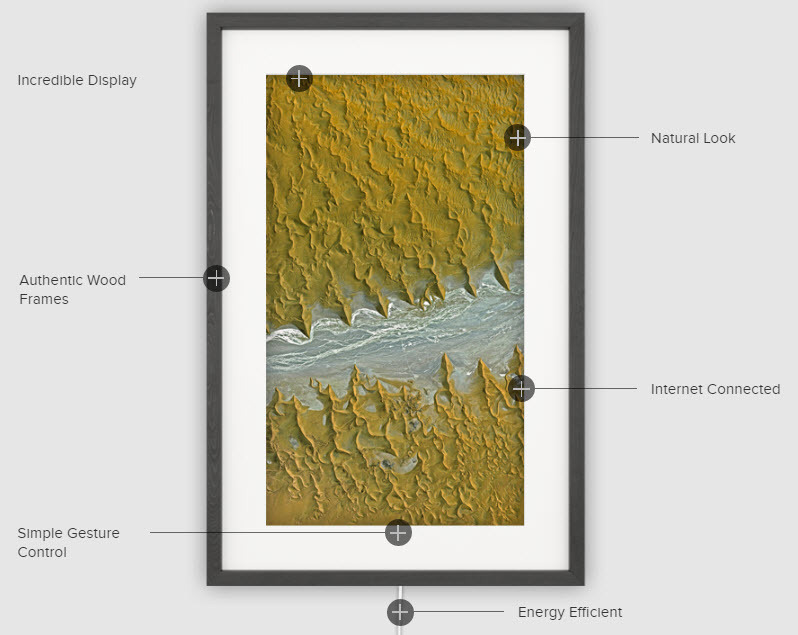 Perhaps the most compelling application of technology with Meural is its connected backbone. Feeding Meurals everywhere is a global community of museums, galleries, artist studios and workshops who make their art available through a streaming service. Meural’s online collection of art includes paintings from various eras such as: renaissance, impressionism, cubism, contemporary, abstract, and emerging. The photography section includes staples such as landscapes, architecture, and modern photos. There’s also a small selection of motion art that allows you to bring the gift of GIF to your artwork and an extra touch of dynamic life. Of course, what would an infinite digital canvas be without the ability to show the best art, also known as your own art. Yup, you can definitely upload and display your own work. Since Meural is as much a network as it is a physical structure, your art doesn’t show up on your own wall, but on the walls of other Meural owners as well. Since being founded in 2014 Mural has raised $2.23M over three rounds from a venture capital entity called Bolt. Mural’s most recent round was for $2.06M. Mural shipments are expected to begin in June 2016 however pre-orders are available on the official company website starting at $445 with standard dimensions of 32 x 21 x 2. If you’re looking for lightbox capabilities, those versions of Mural start at $545. If you place your pre-order right now, you’ll receive a $50 discount along with free shipping in the US. Very cool. Compact, easy to move if you want and something you can easily afford as a gift! If you think about what you could spend on art, that price tag is very affordable! I like this! If you are going to have art in your home anyways, that is not yours, what a great way to display some of the best pieces in the world? This is a GREAT idea! for those that do not have a lot of wall space, but a love for art, what a better product could you have! ?